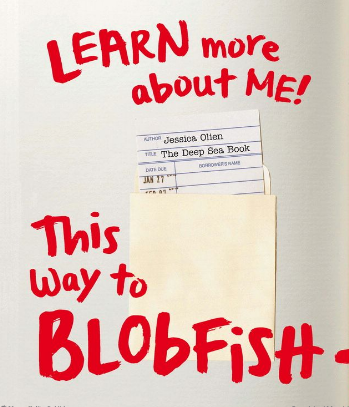 With The Blobfish Book, Olien has a story within a story, meta kind of thing going on. 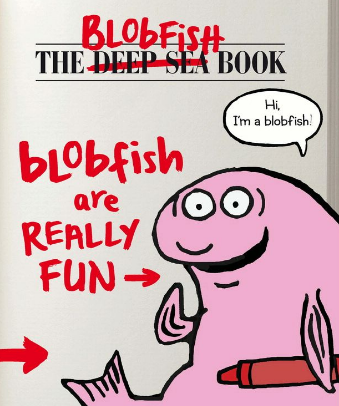 Blobfish, seen initially as a quasi-cute cartoony character, is about to read The Deep Sea Book, which he takes a red crayon to, making it his own. 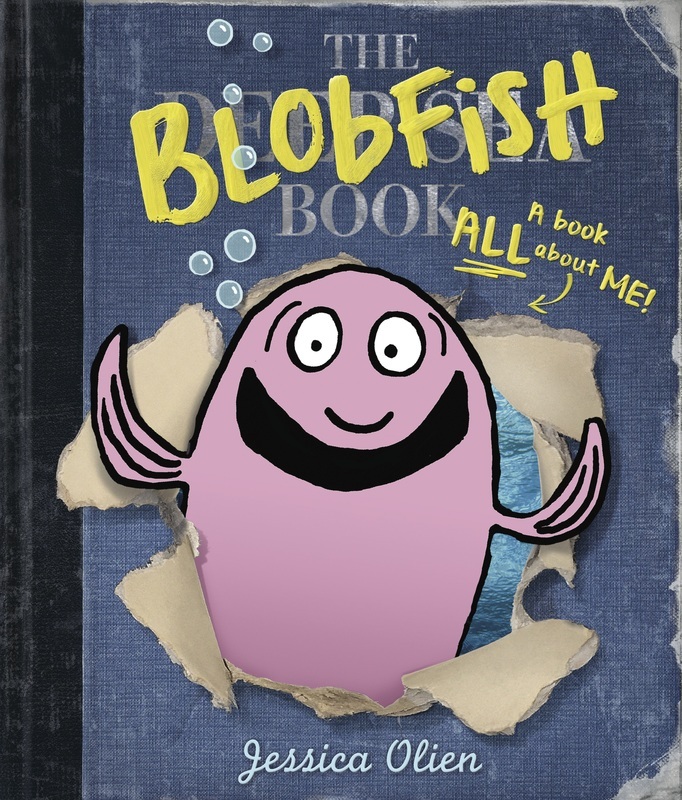 Readers will actually learn a bit about deep sea creatures and how they live in The Blobfish Book, despite Blobfish's defacement. 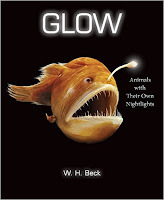 However, if this book sparks curiosity in your young readers, be sure to check out Glow: Animals with Their Own Nightlights by W.H. 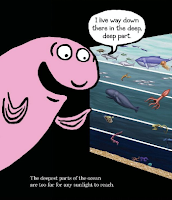 Beck, which I reviewed last year. 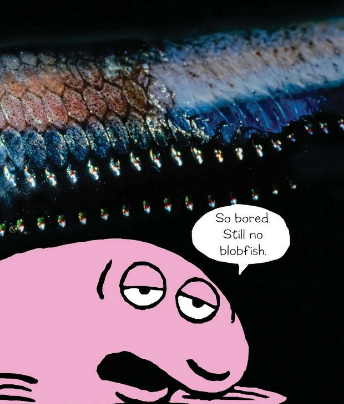 The twist comes when the enthusiastic, slightly goofy Blobfish finally gets to the page displaying his species and is deeply saddened to learn that the blobfish was once voted the world's ugliest animal. He burst into tears, but his fellow deep sea creatures come to his side and draw up a final page for the book, showing the world that blobfish are in fact cute, friendly and fascinating. The Blobfish Book ends with a two page spread that gives readers more facts about the cast of characters and the environment that they live in. 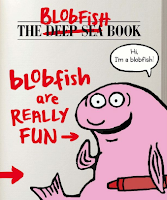 This book looks like fun! I am going to see if my library has it. Thanks.